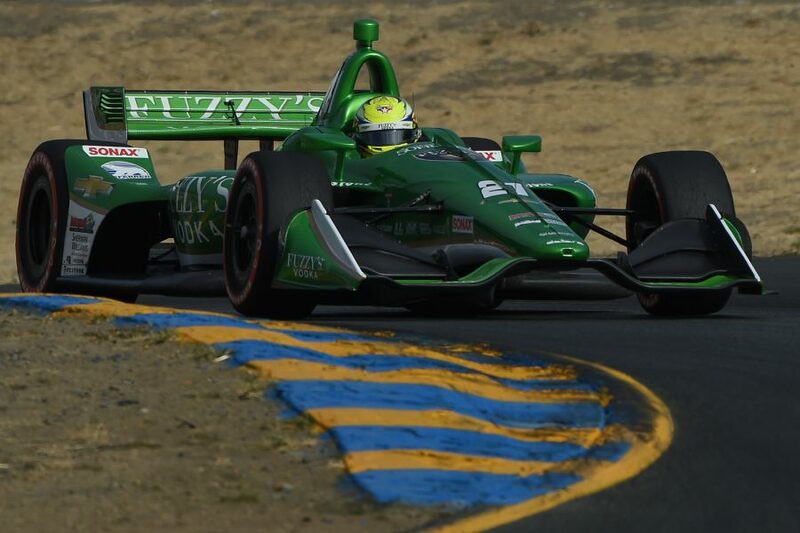 – The 2018 Verizon IndyCar Series season concluded today after 85 laps around Sonoma Raceway. Spencer Pigot’s strong run ended early when a gearbox issue concluded his season only 47 laps into the race. He would be credited with a 24th place finish. – Pigot began 2018 with a pre-season test at Sonoma Raceway in early February, the first time he was in an Indy car in the new year. The 24-year-old had not been on the 2.385-mile road course since then, but had three full practice sessions to prior to this afternoon’s qualification session. – Based on Saturday morning’s third practice, Pigot was assigned to Round 1, Group 1 for qualifying. He began the 10-minute session on a set of black Firestone Firehawks, turning three laps before pitting for a set of the red tires. His first flying lap on the reds had him in contention to advance, but he was bumped down after the checkered flag and would end up 9th. As Group 1 times result in odd-numbered starting positions, Pigot rolled off 17th in Sunday’s season finale. – Pigot started on black Firestone Firehawks, one of only three drivers in the field to do so. By electing to do this, he was able to fulfill his minimum run on the black tires and would be able to finish the race on the red tires. He came in to the pit lane on Lap 12 for his first set of sticker reds and vaulted up the order as other strategies began to play out. After all cars in the field had stopped, Pigot was up four positions to 13th. – On Lap 22, Pigot gained another position as he passed Tony Kanaan for the 12th spot. A handful of laps later, Pigot was given permission to burn extra fuel to make his way around Zach Veach before his next pit stop. On Lap 31, he made the pass for 11th. Pigot’s next pit stop came on Lap 35 for another set of sticker red tires. – As he was getting back up to speed, he radioed in that he was experiencing an issue with the gearbox. He came into the pit lane where the No. 21 Fuzzy’s Vodka crew discovered the car would not downshift and quickly replaced the gear stack. He rejoined the race on Lap 44, but it was short-lived. The replacement gear stack did not solve the problem and the No. 21 was taken behind the wall. Pigot would end the 2018 season with a 24th place finish. – It was announced earlier this week that Pigot will remain behind the wheel of the No. 21 in 2019, which will be his fourth season with Ed Carpenter Racing and second full-time. The 2019 Verizon IndyCar Series season will begin on Sunday, March 10 with the Firestone Grand Prix of St. Petersburg.